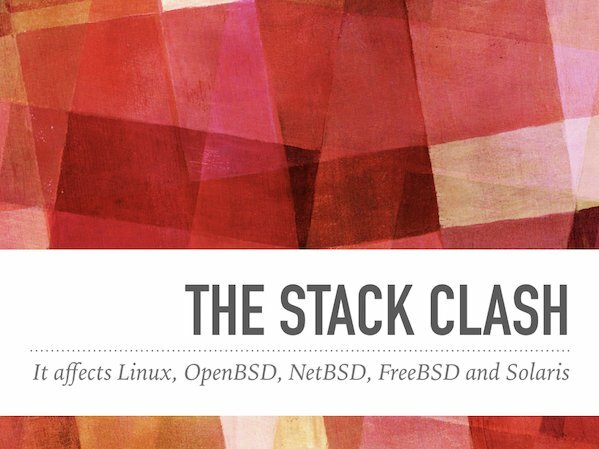 Avery serious security problem has been found in the Linux kernel called “The Stack Clash.” It can be exploited by attackers to corrupt memory and execute arbitrary code. An attacker could leverage this with another vulnerability to execute arbitrary code and gain administrative/root account privileges. How do I fix this problem on Linux? The Qualys Research Labs discovered various problems in the dynamic linker of the GNU C Library (CVE-2017-1000366) which allow local privilege escalation by clashing the stack including Linux kernel. This bug affects Linux, OpenBSD, NetBSD, FreeBSD and Solaris, on i386 and amd64. It can be exploited by attackers to corrupt memory and execute arbitrary code. Each program running on a computer uses a special memory region called the stack. This memory region is special because it grows automatically when the program needs more stack memory. But if it grows too much and gets too close to another memory region, the program may confuse the stack with the other memory region. An attacker can exploit this confusion to overwrite the stack with the other memory region, or the other way around. Do I need to reboot my box? Yes, as most services depends upon the dynamic linker of the GNU C Library and kernel itself needs to be reloaded in memory. How do I fix CVE-2017-1000364 on Linux? Need to get 0 B/62.0 MB of archives.